A booming voice and a very funky keyboard sound helped define the life and career of the late keyboardist George Duke. And then there’s the family connection to Lyle Lovett, a funny story all in it’s own. Carol shares conversation with keyboardist and producer George Duke. Getting his professional start in the Bay Area of California, George shares his split journey from work in jazz with Cannonball Adderly to rock as a member of The Mothers of Invention with the legendary Frank Zappa. Piano was George’s first love from the time he heard Duke Ellington play. Thankfully for us, that college scholarship for trombone was just a way to get a music education because piano and keyboards were his calling. Like Duke Ellington, being a leader and producer were also in his DNA. From George’s perspective, the world of music is very much about the friends you make and the associations you cultivate. When listening to this podcast you can’t miss how many times he references friendship connections that facilitate introductions into some of his most powerful musical associations. Lucky for us, George was a friendly guy. You’ll hear that too. Always quick to laugh. 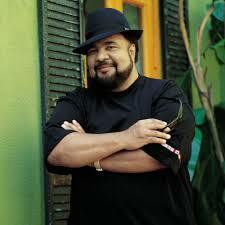 It’s an honor to share with you a conversation with the late George Duke.